I have 25 years of experience as a babysitter. I have 7 Testimonials given by my Clients for Babysitting. I have 3 years of experience working,in 2 different Preschool Center,as a Teacher. 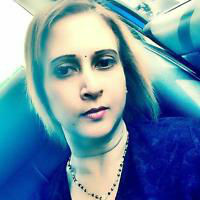 Im a Indian and 46 years old Singaporean. Im a Full Time and Ad-Hoc Babysitter. I live in Hougang, accessible to most MRT Lines. And have 3 adult kids of my own. I have worked from 1992-1994 at YWCA Childcare Center at Bishan for 2 years. I don't have teaching certificates for Preschool. And after which,I left that job,to be a Full Time Babysitter. Im a A Level Holder.And have conducted tuition for kids, ranging from Nursery to Primary 4. This is one of my task in babysitting. I love kids and my job as a babysitter. I have lots and lots of experience, working in high ends hotels and in expats bungalows and condo as a babysitter too. And I have lots and lots of experience, in taking care of, new born babies to 12 years old kids. And I also have, lots and lots of experience, in taking care of Twin Babies too. I also have experience, in taking care, of my nieces and nephews. My friend's kids, my neighbour's kids, and kids of my clients, that were assigned to me by my agent. I have experience in taking care, of twin babies, for 3 different clients. It's not easy task. And need alot of patience. But i can do it. Because I love my profession. Parent's can count on me. PS I am not an Agent. I DO BABYSITTING 24/7 AND ALSO AT NIGHT. Madu joined us,when our twins were a few days old.And we were at a complete loss with exhaustion and sleep deprivation.That day,she walked in calmly,picked up one of my crying babies.And he immediately fell asleep in her arms.I totally trust her with my babies.I know that,they are in the best possible care ever.We are from foreign country in US.And we don't have anyone in Singapore.We are new in parenting.And we don't have much knowledge on new born babies.And especially twins, was our first babies.We were just stranded.Madu was like a second mother to us,when comes to just born twin babies.She loves my kids.She is dedicated and devoted in her work.I feel that,madu respects and supports the way,i want my babies been look after.When she arrives we will discuss, how the feeding has gone for that day. And also discuss,if any issues and any changes to the routine,that need to be made.When my children are sick medicines are given on time.She is responsible and very strict in this issue.We can count on her at all time. She is always there for you,no matter what happens.She keeps to her words.She has a lot of knowledge and experience in baby care.But also realises that,all babies and all mummies are different.And there is no way of doing things.Only what works for you.She works with you to achieve your goal.It has been a life saver,to have had her support,in this challenging time.She is patient and smart.We depended on her a lot.We were fortunate to have her. My wife was a homemaker.And my job was travelling.We had a helper who took care of house work.Madu is a full time babysitter. When comes to bathing and feeding and cleaning babies tongues,all was done by madu.And she takes extra care of babies health as well.After along stressful day dealing with them.We always looked forward to Madu's arrival.She brings the quiet,highly competent sense of control along with her.We feel more able to face her everyday.And our other two kids have benefited from having a more rested mummy and daddy.It feels like,she is totally one of our team.We comment every day,how its the best money,we ever spent.After 6 months later,my wife accompanied me on my business trips.And she single handedly took care of my twins,for two weeks,at her own home.She was more than a babysitter,was more like a family to us.I hope this will help in your future endeavour as a babysitter in other people's house.Thanks for everything Madu.All the Best. Do you have monthly rate? Thanks very much for your interest in my ad. Are you still available the week after next? we will most likely be looking for someone 4 hours a day for 4 days. Would you be able to come over Monday to Friday (Contact details removed, please see the FAQ here: https://findananny.sg/faq/) – (Contact details removed, please see the FAQ here: https://findananny.sg/faq/) to take care of my daughter.